Our annual family sojourn to Wisconsin’s North Woods has come and gone, and thus it’s time for my Island City Lodge No. 330. We were away for three weeks this time, which meant I was able to attend two breakfasts and two stated meetings. Since our last trip, Island City has added a stated meeting on Wednesday night in an attempt to attract younger men who aren’t able to attend a 10 am meeting. It’s early days, yet, but things look promising (despite an occasional grumble from the north that things shouldn’t change). The morning meeting lasted for two-and-a-half hours, for no readily discernable reason, other than that Masons like to talk, and Masons who are retired like to talk more. The evening meeting was not as well attended, but was more fun for me, as I got to demonstrate Illinois opening and closing, and the intricacies of Illinois’s rod work. Opening and closing in Wisconsin and Illinois are very different, and most of the Brethren there had not seen anything of Illinois Work. Worshipful Brother Dave Imlah, who had been asking me to demonstrate Illinois Work for a while now, declared himself fascinated, and thought it would be worthwhile to travel rather farther than Rhinelander to observe degrees. I hope someday that my trip north will coincide with a degree so that I can observe Wisconsin Work beyond perusing the cipher book. We all have things to teach one another, if only that Masonic ritual varies, but that the lessons it teaches are universal. I’m grateful to my Wisconsin Lodge for allowing me to bring Illinois ritual to the North, and look forward to learning more from my Brethren there and elsewhere. With my pending move to Indiana, I hope to learn even more of the manner in which our eternal truths are expressed by Brethren in other jurisdictions. In Nebraska Freemasonry, four inches is very important. Our Deacon and Stewards carry their rods exactly four inches above the ground. The Bible on our altar is placed exactly four inches from the Western edge. There are other examples, but you get the general drift; four inches is a lot to us around here. Now, before I go any further I’m going to tell you this upfront: this is a serious paper, on a mainly serious website, so there will be no, I repeat NO joking here. I have heard all of the jokes (yes, even the one you think is original because you just came up with it) during ritual practice, and while I love a good joke as much as the next, there is a time and a place for it. There is nothing funny about four inches. When I first started getting serious about ritual work, the whole concept of the four inches struck me as what happens when our ritual work is taken to the extreme: we focus more on the minute details than we do on the bigger, more important issues. After all, when lodges are struggling to find enough men who can mumble out the ritual work, do we really need to be concerned over something as trivial as the height of our rods? The more I have thought about it, however, the more I realize that four inches can be everything. The distance itself doesn’t really matter, of course, Four Inches And Freemasonry it’s the love and attention we put into every little detail that makes the difference. In our ritual work, every detail matters. Every detail that has been put into the ritual is there for a reason, and someone made a conscious decision to make it part of our ritual. Now, while I may not know why four inches specifically was chosen (I personally suspect it has to do with the average size of a fist, being a useful guide that all Masons would have at hand, so to speak), at the end of the day the important thing to note is this: the detail was put there, and it is irresponsible to ignore it. I hope that while you’re learning ritual (and you SHOULD be learning ritual, but that’s another topic), you will spend the time to study those little, seemingly insignificant details, and think about the reason behind them. 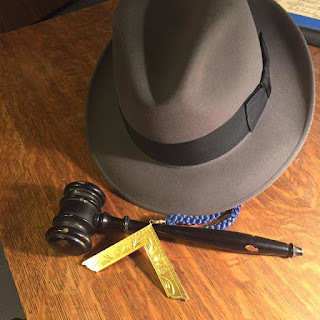 I look back over the last few years, and what has been accomplished at Homer Lodge No. 199 is remarkable. 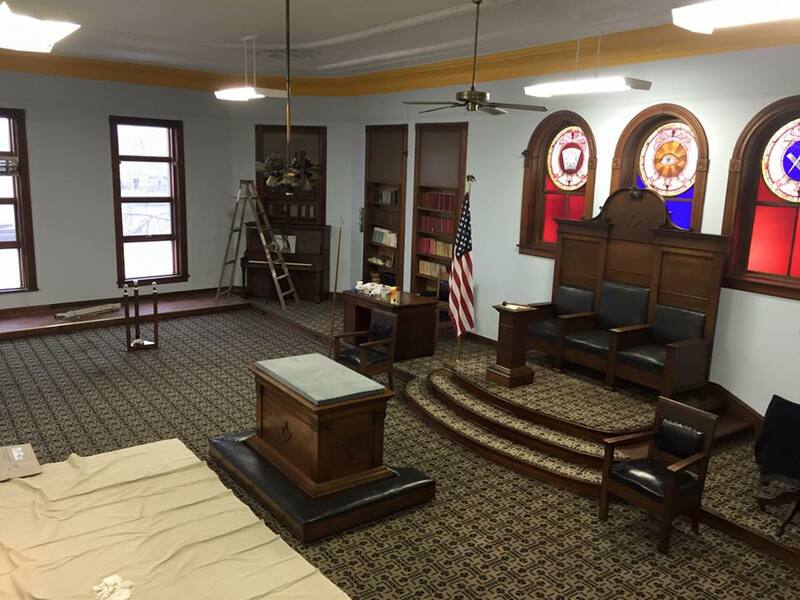 We've rebuilt our Lodge--with a lot of hard work and sweat we've restored it to its former glory. We've created a museum that celebrates not only Freemasonry, but tells the history of our Lodge and its decades long service to the community. We've established Admiration Chapter, a new chapter of the Royal Arch dedicated to service and education which will soon receive its charter. We had several excellent education meetings now, and a truly remarkable group discussion on civility. One of the best meetings I've attended in my decade as a Master Mason. The Grand Chapter of Illinois has taken notice of what we're doing in Admiration Chapter, and I have no doubt the model we've established in providing education and instruction for our members will inspire other Chapters of the Royal Arch to do the same thing--improve the member experience. And we've opened our doors to the community so they share in our history, as well as gotten out from behind the walls of the Lodge Room ourselves and gone out into the community again to continue our long history of service to the community. We've even made the newspaper with our restoration efforts. We recently spent a day out on Main Street during the town's annual Soda Festival pouring samples of old fashioned handcrafted sodas in a tent while the rain poured down. One thing I didn't hear this year I'd heard in the two previous years--I didn't know the Lodge was still active. The town knows we're still there, and we've come out from behind the walls of the Lodge again. And our lights are burning again--more than just once a month for our regularly stated meetings. The York Rite is back again with Admiration Chapter. The Irish Sea Council of Knight Masons have used our Lodge to confer their degrees. The Eastern Illinois Council No. 356 of the Allied Masonic Degrees has held their meeting at Homer Temple. 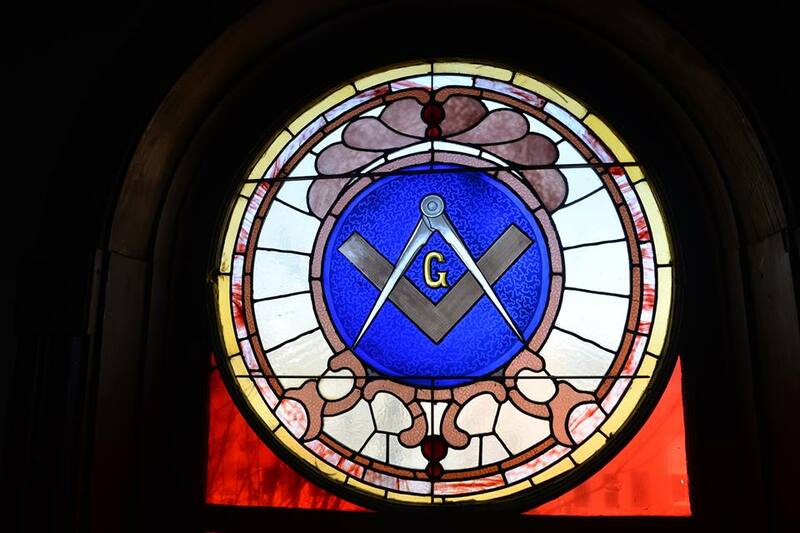 Our beautiful Homer Temple with its stunning stained glass windows recently served as a backdrop for a video produced by the Scottish Rite Supreme Council (NMJ). But the hard work is still ahead. We've rebuilt the Lodge building and put it back into use, but now it is time to rebuild the Lodge membership. We have just enough active members to fill our chairs, and only two of those active members are true Homer Lodge members. 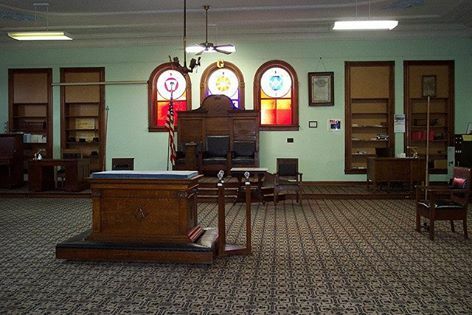 Most of those chairs are filled with dual members from neighboring Ogden Lodge No. 754 and St. Joseph Lodge No. 970. It is our goal to fill that Lodge with Homer Masons--to raise and train a new generation of Master Masons and one day hand the keys back to them and let them continue the legacy of serving their community as generations before them have. 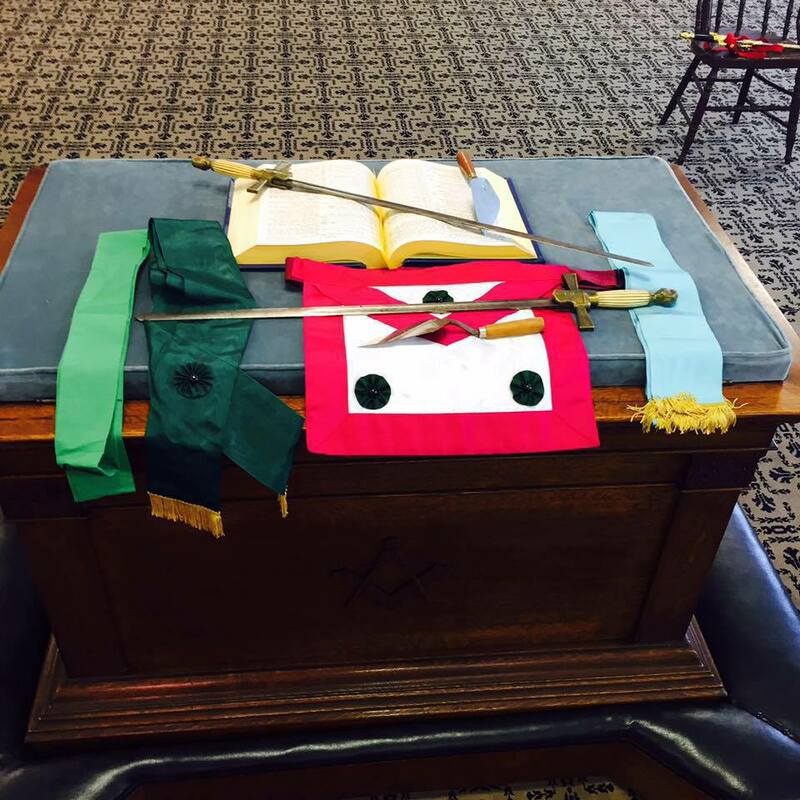 There is still a great deal of work to do, and the future of the Lodge is still uncertain. But we're dedicated to rebuilding the membership because it's important. It certainly would have been easier to let it go. To merge Homer Lodge into one of the neighboring Lodges. That's the conventional wisdom--let the old building and all the headaches involved with it go. But we've seen that happen before. We don't want to see that happen again. When the light of Masonry goes out in a small Midwest town, the community loses something too. It loses a place where men can go to learn, to make friends, and to improve themselves. Freemasonry does make good men better--better husbands, better fathers, better employees, and better community leaders. These old fashioned principles, virtues, and characteristics we learn as Masons are what helps to make our communities strong. When that Lodge goes dark, that light doesn't often return. As far as the members of Homer Lodge No. 199 are concerned--failure is not an option. But nothing worthwhile is ever easy. Our Grand Master Tony Cracco and the officers of the Grand Lodge of Illinois A.F. & A.M. are coming to Homer Lodge No. 199 in September to rededicate our Lodge. We plan to open the doors and let the entire community in to celebrate that momentous occasion. I believe it will begin a brand new chapter in our Lodge's long history. I've tried to tell a story here over the last few weeks. Don't let that light go out. The world has never been in more need of men of good character than it is today--and the more places men can go to learn those values the better. There are probably few people who have spent more time than I have studying the lives of famous Freemasons over the last decade--it's my thing. All of them were good men when they joined, but many became great men after they became involved with our Fraternity. There is something about our Craft, when it is taught properly, that propels men to accomplish things they didn't know they were capable of. It's not just something you see with famous Freemasons either--you'll see it amongst the less famous as well. There are one or two Masons like that in every Lodge I've attended. We need a lot more than that to make a difference. We have to get past reading minutes and reports and get back to teaching all those things that most of our members can only get if they read on their own now--most of our members frankly don't. Sadly, most of what I've learned about Freemasonry that has inspired me I've learned on my own--that's something we have to do better. 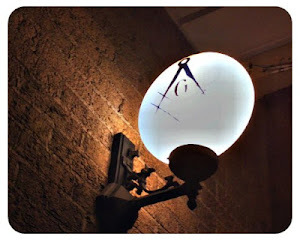 We have to bring that knowledge back into the Lodge--bring back that light. When you teach men how to improve themselves, you wind up with a better man, and that man goes out into the world and makes it a better place to live. My Brothers, Freemasonry, although not a religion, it is essentially a spiritual system of self-improvement using the allegory and symbolism of its system to portray the legend of a sacred secret held within the heart of all Masons. 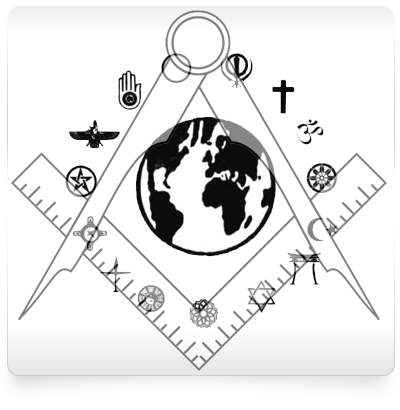 According to cultural values we are raised to consider our own religion as the only divinely inspired faith, and this is the cause of many of the misunderstandings between modern society and the spiritual ethics taught in the Masonic system. A religion can be defined as a divinely inspired code of morality to inspire its followers to live a nobler life to enrich the spirit within. All doctrines equally seek to preserve and develop the divine spark within the individual. Masonry is a system of thought that inspires balance between the spiritual aspects of the self and the rational mind. Masonry expresses the ideals of the enlightenment movement that faith and science are both ends of the same truth, so masonry can be interpreted as the reconciler between these two liberating the mind of the initiate from the superstition and fear inspired by these polar opposites. With this established Masonry is best expressed as a system of psychological growth that inspires the candidate to seek self-actualization through implied symbolic meaning. Masonry at its heart operates to give man the knowledge of himself that can be inspired only by self-reflection of his personal connection to the universe set within the allegory of its system. So if we look at the Masonic system as a Psychological process of development, it is necessary that we incorporate the importance of symbols in how one learns and interacts not only with the world but with aspects of our own consciousness. 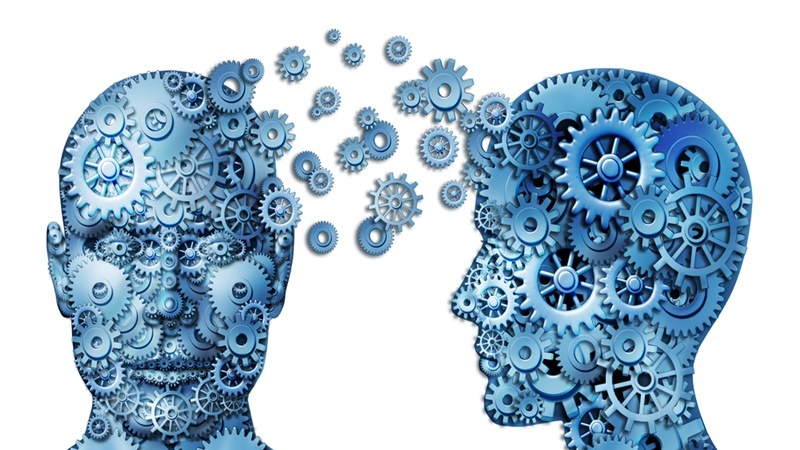 With this in mind this series will focus on the system of the craft, primarily the entered apprentice degree, as it relates to the psychological theory of Carl Jung, psychoanalytical psychology. from the heart and I hope it doesn't pertain to you, but if it does, well... keep going. You petitioned with eagerness and anxiety. You got the call that you were voted in. You received your first degree and thought, "Okay, not exactly what I expected, but cool." You proved your worth somehow or other and were told you would be receiving your 2nd degree, and more excitement filled your brain. You received your Fellowcraft degree and thought, "Wow, that was a bit more involved. Really cool." Then you make your regular progress and are told you will be receiving your Master Mason degree, "...the highest level in Freemasonry", you are told, ad nauseam. After the 3rd degree, you sit in the lodge and ponder all there was in the degree; the lessons, the symbols and the incoherent rambling of a lecture you won't understand for years. But one thought trumps all, you are now a full fledged official Freemason. Congratulations! Fast forward to your first unfavorable thoughts of the craft which started to enter your mind. You remember them. At first you thought you could just sweep them aside like crumbs on the floor. You've been in long enough now, to see the less than favorable peculiarities of the institution you once thought would make you truly a better man. Every organization has it's flaws and now you see them. Squabbling over bills, dealing with the unwavering dogmatic religious requirements by varying jurisdictions, replacing the carpet, local lodge politics, cliques, appendant bodies playing tug-of-war with base lodge members. 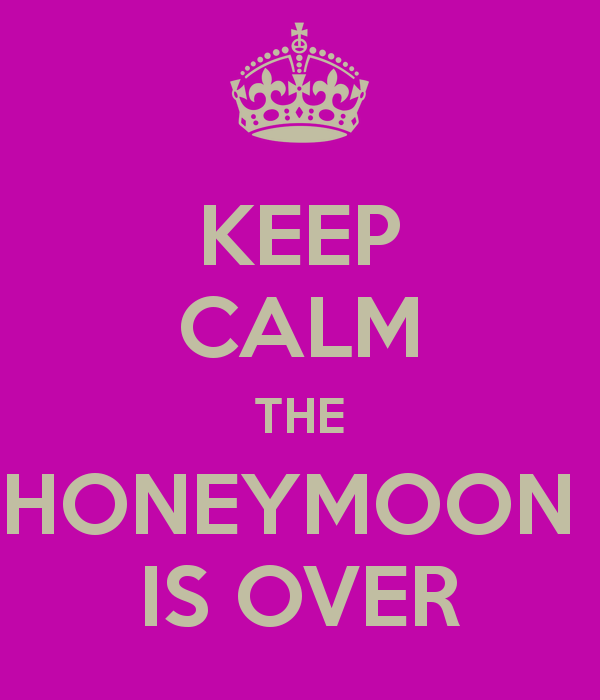 The honeymoon is over. Just like real life though, now it's time to get to work and do as "Red" says in the Shawshank Redemption, "Get busy livin' or get busy dyin'." We come to these times frequently after being involved in the fraternity in a multitude of areas. We serve our lodge and deal with the constant shutting down of ideas, although some stick and work out, fueling you for the next implementation. You then get involved and you move around the lodge, district and maybe even the Grand Lodge, serving as a committee man or chairman, overseeing issues galore. All the while cursing this thing and loving it at the same time. This is the beginning of "Masonic Burnout", typically this happens to our new members, young or old, who want to hit the ground running. The one thing we need to remember though, is that this is your time to shine. New members will see your zeal, they will see your servant leadership, they will see your tenacity in getting things done and pushing the craft into the next age. You might be struggling to reconcile membership or involvement after coming in and going strong for 2-5 years, and now seeing all the internal dynamics. It's easy to get disenchanted. The important thing to remember here is, that we have all been in that situation. When the thoughts about the fraternity in some way make you wish you didn't have to be involved and maybe even walk away from it all. Don't do it. Keep on pushing. Keep on making your voice heard and change will come and things, like life outside the fraternity, will get better. Be the example. One of the greatest myths conveyed about Freemasonry is its apparent propensity to resemble that of a religious organization. In fact, amongst the many myths and dispersions cast against our fraternity, the most difficult to coherently dispel has been those rumors that seek to depict the craft as a religious body. Many a Grand Lodge have sought to dispel this myth by outright denial of this accusation, pointing towards the crafts intolerance for religious discussion and the niche discrepancies between our practices and the dictionary definition of organized religion. Whilst it is true that every freemason must trust his faith in a belief of a supreme being, the instant ambiguity of that requirement in conjunction with its lack of prescriptive dogma, should indicate to an attentive reader, that freemasonry is inherently outside the scope and purpose of organized religion. In his work The Lost Keys of Freemasonry, Manly P. Hall eloquently contended that “The true mason realizes… it is life which he considers when measuring the worth of a brother, It is to this life that he appeals for a recognition of spiritual unity”. This contention is even more plainly put in Mark E. Koltko-Rivera’s work entitled Freemasonry: An Introduction, where he argues that “whilst freemasonry focuses on moral behavior and spirituality, it itself is not a religion. Freemasonry uses many spiritual symbols, however Freemasonry offers no savior or plan for salvation, there is no priesthood or ministry, although it is not opposed to such things, but it does not have any of its own to offer”. 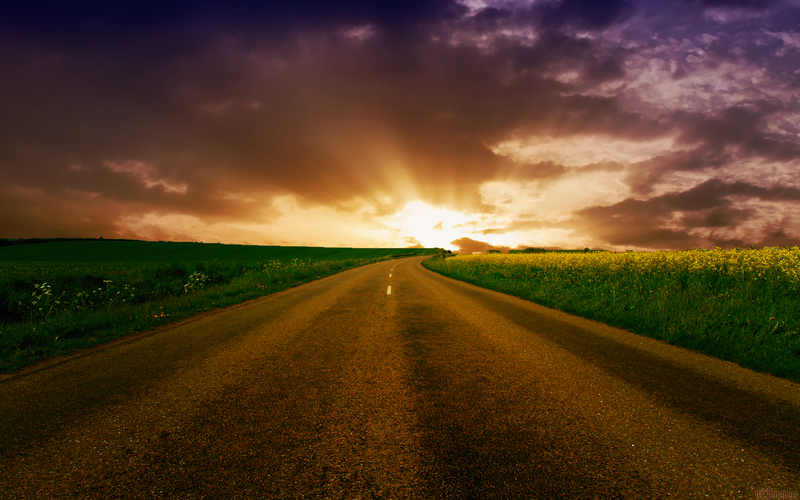 The distinction between spirituality and religion is understandably a difficult concept to differentiate and in many cases can become conflated in discussion. For what is spiritual to one person, may be insignificant to another and is very much embroiled in the individual character and perspective of the prospective participant. Nonetheless it is the contention of this author, that the subjective spirituality of Freemasonry and its capacity to engage the moral and intrinsic questions about a mans individual character, is its greatest asset in a period where cultural skepticism is imbedded in the minds of our modern society. It is not unreasonable to observe, that a majority of modern men are less religious, more skeptical and far less tolerant of dogmatic interventions, that some have justly become to perceive as contrary to a modern instinct to question the status quo and to approach questions of life and existence from the perspective of individual reason. Individual morality, for many young men, is found more at home in a class of ethics rather than faith and less certainty is had about the role of ones spiritual dispositions in fostering a meaningful understanding of the world around us. The late Christopher Hitchens literary work God is Not Great is arguably one of the 21st centuries most compelling personifications of this growing cultural skepticism. Hitchens, unafraid to tackle the biggest questions of faith and reason, ironically provides a fascinating insight about the ethos of modern society with his view of there being a “Need of a New Enlightenment”. This enlightenment he contends “will base itself on the proposition that the proper study of mankind is man and woman”. Hitchens continues that enlightenment “is within the compass of the average person… [through the] study of literature and poetry… the unfettered pursuit of scientific inquiry… [with the aim] to ‘know yourself’ as the Greeks, gently suggested in the consolations of philosophy”. Whilst Hitchens himself was a profound antagonist of religion and a self professed servant to his own sense of infallible reason and logic, one cant help but to observe that perhaps the “enlightenment” he professes is in fact more at home with spirituality than one would first think to perceive. In fact, as many a Freemason may have identified, the Hitchens “enlightenment” resembles a great deal to that of the allegorical contemplations of the three degrees in craft Masonry. In the first degree of Freemasonry a brother is invited to consider the useful lessons of natural equality and mutual dependence. The allegory that as mortal beings we are but brought into this world in darkness for which we may only avail ourselves through an understanding of and respect of our fellow man, bears great similarity to Hitchens enlightenment. Further, the concept that true enlightenment is achieved through a strong pursuit in an education of nature, the liberal arts and science is a key lesson of the second degree. This degree gives encouragement for man to avail himself of the secrets of nature and science is presented as an important path to attaining intellectual truth. However, it is the third degree in freemasonry, with its focus on our inevitable mortality and a contemplation of our finite time on earth, that truly rounds off our capacity to truly “know yourself”. However, unlike Hitchens, Freemasonry through its avid contemplation of these lessons, imbeds itself in its ultimate understanding, that whilst these lessons are founded in rationality, that it is through the spiritual contemplation of their greater meaning that they bear true attachment to our lives and characters. As eloquently put by Brother Owen Shieh in his publication Journey on the Level, “Regardless of the names assigned to truth (emblematical of the supreme being) the key point is that the candidate must believe that there is something more, something unknown and something beyond our limited understanding of the material world – something that relates to the underlying order or the universe and to the true nature of our consciousness”. Freemasonry, unequivocally, has the capacity to provide for the modern man an opportunity to expand their understanding of their own intellectual, philosophical and ultimately spiritual perception of the world and their humanity. As has been demonstrated when deconstructing Hitchens “Enlightenment”, the quest for a rational understanding of the world has been grounded in the traditions of the craft for hundreds of years and underpinned in its significance by spirituality. Modern societies propensity towards cultural skepticism has been a true challenge to religion and its role in the lives of younger generations. 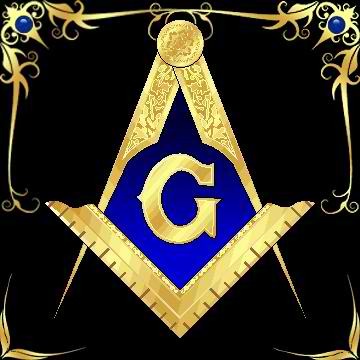 However, as already indicated, Freemasonry is not a religion. Through freemasonry a modern man has the opportunity to confront and contemplate life’s most important questions and through the spirituality of allegorical contemplation can bridge the divides of diversity to better develop their subjective intellect and morality. For the modern man, Freemasonry is free of dogmatic instruction, subject to individual reason and veiled in spirituality. Freemasonry is truly most capable of filling the gap of spirituality felt and longed for by the modern man, who may find himself accustomed to a society of cultural skepticism. 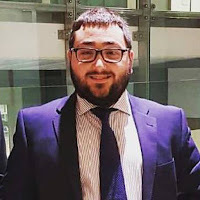 Brother Jack Aquilina, is a Master Mason under the United Grand Lodge of Free and Accepted Masons of Victoria where he serves as Junior Deacon of Brunswick United Lodge No 924 and he is also Chaplain for Western Street United Lodge No 94. He is very active in the Blue Lounge Social Club which you can "like on Facebook by clicking over this text! This piece originally ran on January 29th, 2011. As I look through the more than 1000 posts we've published, I've had the great honor of reading and yes, editing hundreds of them. As I promised, we'll be taking a look back at some of the posts, to give them a chance to shine again, since we didn't have the exposure back then. Here is one such piece, which I believe captures succinctly the essence of the Square and Compasses or as we sometimes call them, "the lights". Last week at the close of one of the Masonic bodies where I am a member a Brother stood up and gave us that ubiquitous reminder, "Don't forget... we need petitions." I could make this a long article by listing the reasons I joined the fraternity. Among those would not be, "I joined so I could go out and get petitions." Like everyone, I'm happy to see new members join any part of our Masonic family. To me, a new member means a new friend, a new opportunity to share all the aspects of Freemasonry, new support for our programs and services. Unfortunately, when I hear, "Go out and get more petitions," it translates in my mind to "Get more dues, more donations, more money and more dishwashers for the kitchen crew — if they breathe, drag 'em in and sign 'em up." A couple of days after that meeting I sat down to read one of my Dad's old Masonic magazines. It was from back in the "heyday" of Masonry. Back then, the fraternity was thriving. They had over twice the membership we have today; and according to the magazine, do you know what they needed? Have I mentioned that's not why I joined the fraternity? Seriously, it's not what I want to do as a part of Masonry. Even though it's legal to "ask" in my jurisdiction, I'm still more of a "2B1ASK1" kinda-guy. I'm also not excited about advertising the fraternity or its related bodies. To me, the best way to get members is to demonstrate the worth of the Craft by our actions. We have to be active and visible in the community and attract existing members to other bodies by showing them that the meetings are interesting, exciting, educational and more than a droning of the minutes and routine business transactions. It seems this is a popular point of view within the membership. I know because many times we discuss it ….while the Secretary drones on reading the minutes. I've been researching Freemasonry for about ten years now and there seems to be no shortage of information, ideas and general complaining about our membership numbers. That is, the number of Freemasons in the United States and it's decline over time. The obsession over these membership numbers has been covered ad nauseam. Fixing things has long been the goal. I'm not sure that we need to fix anything. It seems as though Freemasonry is correcting itself in that we are reverting to the small, refined group we once were, composed of knowledgeable, carefully selected and true brothers. When I ran "surveys galore" as expressed by a post on "Blinded by the Light" it was interesting to see the take on it [my piece] and Jon Ruark's (see video link below) research into our decline. The aforementioned blog is stating the elephant in the room is that the Grand Lodge system itself is to blame for the downfall of membership. And in part it's true, but perhaps not why you think. I think I am going to say something here which not many people, possibly no one has said quite this way before. We aren't losing members and we aren't dying and we aren't going anywhere. Your respective Grand Lodge on the other hand may be. Let me explain. In 1924 the Masonic Services Association started keeping track of the number of Freemasons in the United States. This number was based on regular lodges under the respective Grand Lodge system of that state. You can look at those numbers by clicking HERE. Notice the rapid rise and the mega decline. At a point we had almost 6 million members, now we only have about 1.2 million according to 2014. I suspect we will have even less when the 2015 numbers come out. Grand lodges are consistently pushing membership drives and one-day conferrals, amendments to the way Freemasons progress through the degrees and much more. But none of it is helping. Bro. Jon Ruark of the Masonic Roundtable did an excellent presentation this last year about membership numbers, which I mentioned above. You can watch it HERE. In short Non Payment of Dues suspensions and deaths are the culprit of dropping membership, coupled with the fact that not many men are joining. At Masonry's peak, from an educational standpoint (1900) Freemasonry was small. The influx of men into the Fraternity during the 50s and 60s was an anomaly. The craft built an empire based on an influx of men and treated that high number as the new normal which for whatever reason they still measure us against today! Now that we are returning to normal numbers, the craft is trying to figure out ways to sustain the top heavy elements we built. What I'm saying Brothers, is that the membership drives are to sustain what was erroneously built based on a false presumption about what Masonic membership numbers would be in the future. We are returning to the smaller group we once were, and that's okay. When I asked for a peer review of this piece, my Brother said "I'm left asking myself, what do I do with this information?" I'm not sure you can do anything with this information other than let it give you comfort. Comfort in knowing things are just fine. We are returning to our original purpose, our original aim. In conclusion, next time someone says "Masonry is dying. 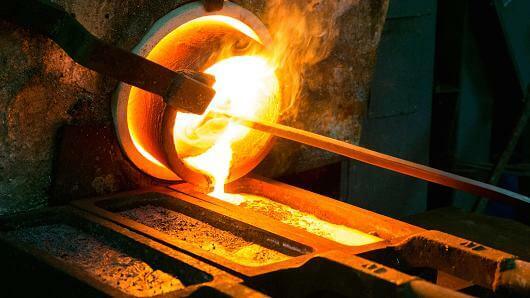 ", make sure you tell them, "We're not dying, we're refining." Job’s Daughters have a tradition. At the close of their installation, the Jr Past Honored Queen is escorted to the altar and she signs the Bethel bible. She is now a part of an elite group of ladies…Past Honored Queen. I was able to sign my Bethel bible as a Past Honored Queen. Just recently, I was honored to sign the bible again..this time as a Grand Guardian from my Bethel. Many names have come before me and this bible holds a lot of history. The next time I will sign a bible will be at our Grand Guardian Council installation and I will sign the bible, adding my name to those from the Past. I too, will join an elite group of people…Past Grand Guardians of Illinois. In Eastern Star, we sign the bible the night we are installed. I am not sure if Masonic Lodges have this tradition. I know in our local lodge, they do not sign the bible. Does your lodge have this tradition? If you do not, why not? I became a Mason in 2006, and in the ten years that have passed since I’ve had the privilege of being conferring dozens of degrees, becoming a Certified Lodge Instructor, being master for my Lodge’s 150th anniversary with a rededication by the Grand Master of Masons in Illinois, serving the Grand Lodge of Illinois as Leadership Development Chairman and Assistant Area Deputy Grand Master for the Eastern Area, serving as Most Wise Master of the George E. Burow Chaper of Rose Croix in the Valley of Danville, AASR-NMJ, and a host of other privileges. But things change. This summer my family will be moving to Franklin, Indiana, where my wife, a veterinarian, has found a wonderful job, and where I’ll teach part time at Franklin College. I will remain a life member of my lodge and a proud member of the Valley of Danville, but will be withdrawing from most Masonic activity in Illinois. Franklin has a very active Lodge, and I hope to be a regular there. One thing I will not do is curtail my activities as a Midnight Freemason. It continues to be one of my proudest affiliations, and my new Masonic adventures will, I hope, provide inspiration for new material for the blog. Brothers Todd Creason and Robert Johnson have provide superb leadership for our many and varied writers, and I look forward to continuing to work with them to put my random thoughts out there for the Masonic world. I’m grateful to our readers, particularly the ones who have taken the time to write to me with their thoughts on my various articles. This summer will be busy, what with everything involved in moving, registering the kids for their new schools, and preparing to teach new courses. 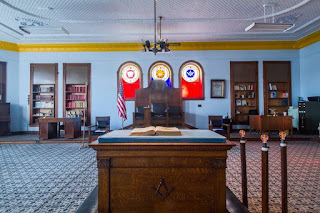 I’ll be writing about my Lodge in Wisconsin (Island City No. 330), as I’ll be there on vacation in a few days, but I have no idea what inspiration awaits me. Stay tuned, my Brothers. I’ll keep you posted as my Masonic life changes. 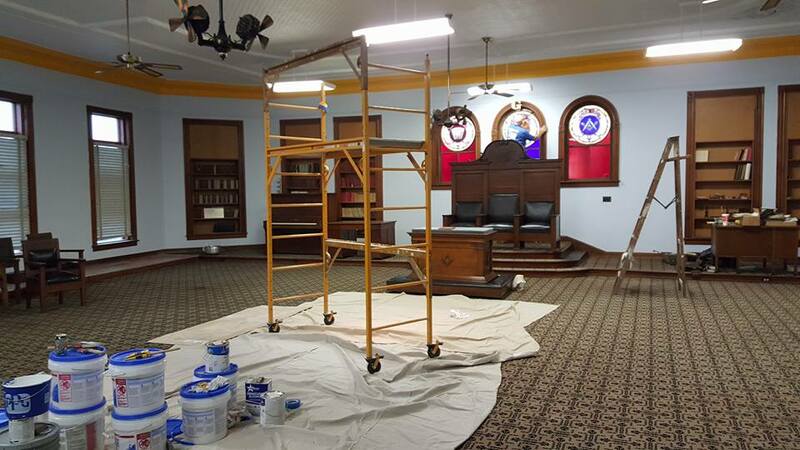 The final job at Homer Lodge No. 199 was the biggest--renovating the Lodge room. This is no small Lodge--it's approximately 2,500 square feet with an 18 foot ceiling. The last time it had been painted we think was in the early 70's. That's a lot of walls that needed paint. And upon closer inspection, we had need of some plaster work to be done as well. Obviously, it was too big a job for our dedicated crew of Master Mason handymen to handle. We needed a professional with the right equipment and scaffolding, etc. After one of our work days, the furniture was glowing after being cleaned and oiled down. 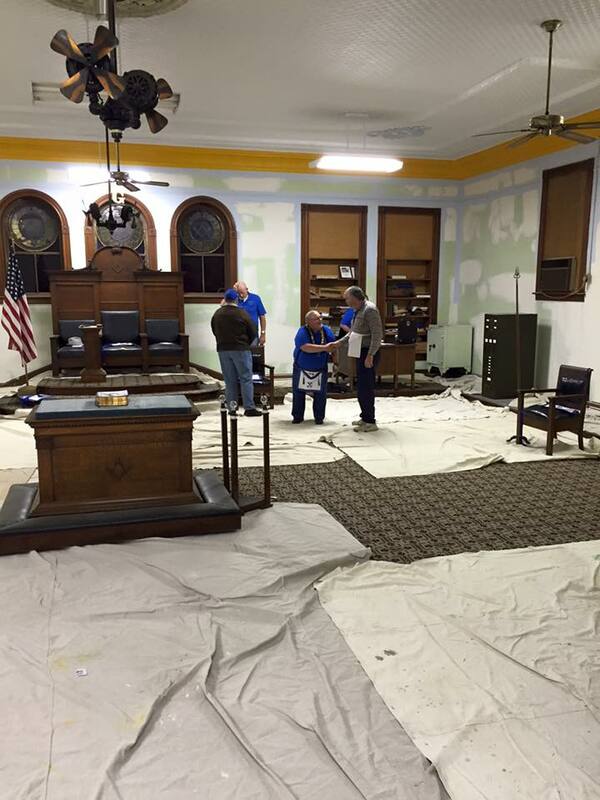 So we hired one, and he went to work on the Lodge room about Thanksgiving and finished a little after the New Year. He patched and plastered, he painted the walls, the ceilings, and decorative medallion that houses the light over the altar. Although he had a lot of experience, it turned into a lot bigger job than even he had anticipated. But the results were worth the effort. He did a fantastic job. 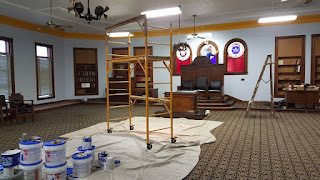 And while he was working on the plaster and the paint, our dedicated Master Mason crew went to work cleaning and resealing the floors, wiping down and oiling the woodwork and all the furniture, cleaning all the glass, washing down all the picture frames. We finished cleaning out the closets. We even rearranged the seating in dining room. And when we finally finished and took a step back, we realized that Homer Lodge was now ready for another generation of Freemasons. The difference we saw due to all that hard work and toil was stunning. We posted pictures on our Facebook page as we went along, and everyone wanted to see it when it was finished. And believe me, the building has seen more use in the last few months than it has in decades. Homer Masonic Lodge No. 199 before the renovation . . .
Not only has Homer Lodge No. 199 enjoyed our newly renovated Lodge, but the new Admiration Chapter I wrote about previously has been meeting there, the Allied Masonic Degrees asked to hold a meeting there and did, and just a few days ago, the Knight Masons conferred their degrees on a group of candidates at the Homer Masonic Temple--in fact, I'm sure the Knight Masons will ask to use our building again as they work at building up their new council. The building has been brought back again. It's created a stir in the Masonic community and has become a central meeting place for a number of groups. 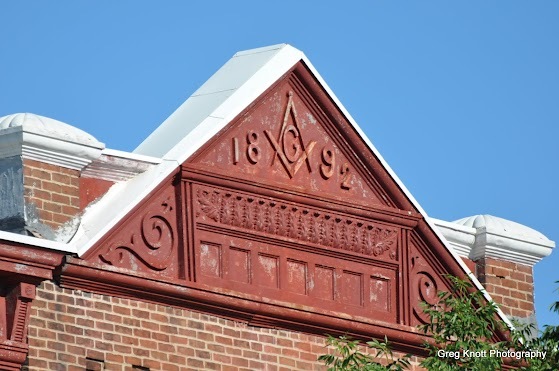 It demonstrates what can be accomplished when a group of Master Masons put the time and effort into something they really believe in. But that still leaves one thing remaining. The final and perhaps biggest challenge of all--bringing the Lodge itself back to health. But we seem to be heading in the right direction. You know that painter we hired to renovate our Lodge--not only did he do a great job on painting the Lodge, but he decided he wanted to join it as well. He's now our Brother.